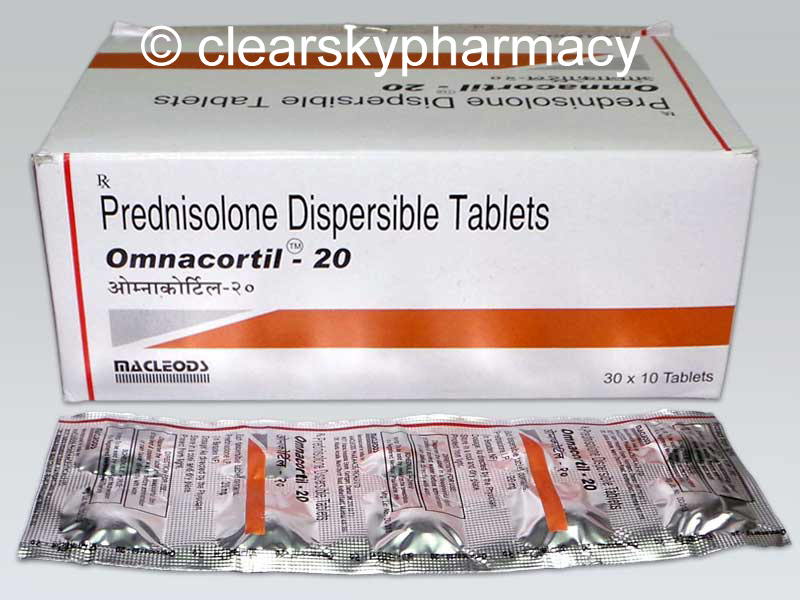 Generic Prednisone (Omnacortil tablets) is a corticosteroid which is used as an anti-inflammatory or immunosuppressive agent to treat certain allergic, dermatologic, gastrointestinal, hematologic, ophthalmologic, nervous system, renal, respiratory, rheumatologic, specific infectious diseases or conditions and organ transplantation. It is also used for the treatment of certain endocrine conditions and for palliation of certain neoplastic conditions. The diseases treated by Generic Prednisone include a wide range of disorders such as bronchial asthma, emphysema, pulmonary fibrosis, allergic skin reactions, blood disorders including auto-immune haemolytic anaemia and idiopathic thrombocytopenic purpura, selected collagen and rheumatic disorders, connective tissue disorders such as arteritis and systemic lupus erythematosus, inflammatory bowel disease such as ulcerative colitis and Crohn's disease, some hepatic disorders such as chronic active hepatitis, nephritic syndrome and other renal disorders, selected inflammatory ocular diseases, acute exacerbations of eczema, exfoliate dermatitis and pemphigus, and some neurological disorders such as infantile seizures (epilepsy) and sub-acute demyelinating polyneuropathy. Other indications treated include raised intracranial pressure, sarcoidosis, the neonatal respiratory distress syndrome, the gastric acid aspiration syndrome, acute rheumatic fever with carditis and occasionally hypercalcaemia. Omnacortil tablets are manufactured by Macleods Pharmaceuticals Limited in the strengths of 5 mg, 10 mg, 20 mg and 40 mg.
We supply original Omnacortil tablets manufactured by Macleods Pharmaceuticals Limited. The active ingredient present in is Prednisolone. 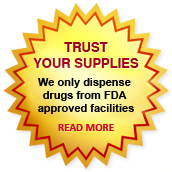 Each dispersible tablet contains 5 mg, 10 mg, 20 mg or 40 mg of Prednisolone I. P.
Generic Prednisone (Omnacortil) is used to treat conditions such as herpes, arthritis, blood disorders, breathing problems, multiple sclerosis, severe allergies, skin diseases, cancer, eye problems, and immune system disorders. Prednisolone belongs to a class of drugs known as corticosteroids. It decreases your immune system's response to various diseases to reduce symptoms such as swelling and allergic-type reactions. 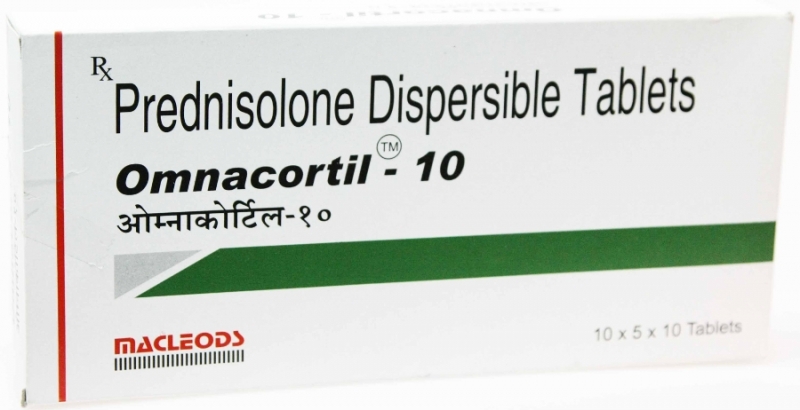 We supply Omnacortil is manufactured by Macleods Pharmaceuticals Limited. It is also known as Generic Deltasone. Each tablet contains 5 mg, 10 mg, 20 mg, or 40 mg Prednisolone. The initial adult dosage of Prednisone tablets (Omnacortil tablets) can vary from 5 mg to 60 mg per day, depending on the specific disease entity being treated. In medical conditions of less severity lower doses will generally be enough while in selected patients higher initial doses may be needed. The dosing should be individualized based on disease severity and patient response. The starting dosage should be maintained or adjusted until a satisfactory therapeutic response is obtained. Omnacortil should be taken with food. The tablet should be swallowed whole and not broken, divided, or chewed. In general, the initial dose of Omnacortil is 5 mg administered once per day. The maintenance dose should be the lowest dosage that will maintain an adequate clinical response. In case of discontinuation, it is recommended to withdraw gradually if discontinuing long-term or high-dose therapy. The specific recommended adult doses for some indications are given below. In the treatment of acute exacerbations of multiple sclerosis daily doses of 200 mg of Prednisolone for a week followed by 80 mg every other day for one month have been shown to be effective. The recommended dosage is 5 mg to 10 mg a day as a single dose. Prednisone tablets are normally taken along with food one to four times a day or once every other day. Your doctor will inform you to take your dose or doses of Prednisone tablets at certain time(s) of day every day. 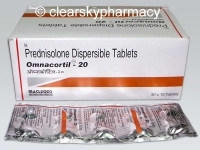 The starting dosage of Omnacortil tablets may vary from 5 mg to 60 mg of Generic Prednisone per day depending on the specific disease entity being treated. The initial dosage should be maintained or adjusted until a satisfactory response is noted. If after a reasonable period of time there is a lack of satisfactory clinical response, this medicine should be discontinued and the patient transferred to other appropriate therapy. IT SHOULD BE EMPHASIZED THAT DOSAGE REQUIREMENTS ARE VARIABLE AND MUST BE INDIVIDUALIZED ON THE BASIS OF THE DISEASE UNDER TREATMENT AND THE RESPONSE OF THE PATIENT. After a favorable response is noted, the proper maintenance dosage should be determined by decreasing the initial drug dosage in small decrements at appropriate time intervals until the lowest dosage which will maintain an adequate clinical response is reached. It should be kept in mind that constant monitoring is needed in regard to drug dosage. Included in the situations which may make dosage adjustments necessary are changes in clinical status secondary to remissions or exacerbations in the disease process, the patient's individual drug responsiveness, and the effect of patient exposure to stressful situations not directly related to the disease entity under treatment. In this latter situation it may be necessary to increase the dosage of prednisone for a period of time consistent with the patient's condition. If after long-term therapy the drug is to be stopped, it is recommended that it be withdrawn gradually rather than abruptly. The common Prednisone side effects include fluid retention, alteration in glucose tolerance, elevation in blood pressure, behavioral and mood changes, increased appetite and weight gain. • Increases in alanine transaminase (ALT, SGPT), aspartate transaminase (AST, SGOT) and alkaline phosphatase have been observed following corticosteroid treatment. These changes are usually small, not associated with any clinical syndrome and are reversible upon discontinuation. In patients on corticosteroid therapy subjected to unusual stress, increased dosage of rapidly acting corticosteroids before, during, and after the stressful situation is indicated. Corticosteroids like Generic Prednisone may mask some signs of infection, and new infections may appear during their use. Infections with any pathogen including viral, bacterial, fungal, protozoan or helminthic infections, in any location of the body, may be associated with the use of corticosteroids alone or in combination with other immunosuppressive agents that affect cellular immunity, humeral immunity, or neutrophil function. These infections may be mild, but can be severe and at times fatal. With increasing doses of corticosteroids, the rate of occurrence of infectious complications increases. There may be decreased resistance and inability to localize infection when corticosteroids are used. Prolonged use of corticosteroids may produce posterior subcapsular cataracts, glaucoma with possible damage to the optic nerves, and may enhance the establishment of secondary ocular infections due to fungi or viruses. Average and large doses of hydrocortisone or cortisone can cause elevation of blood pressure, salt and water retention, and increased excretion of potassium. These effects are less likely to occur with the synthetic derivatives except when used in large doses. Dietary salt restriction and potassium supplementation may be necessary. All corticosteroids increase calcium excretion. Administration of live or live attenuated vaccines is contraindicated in patients receiving immunosuppressive doses of corticosteroids. Killed or inactivated vaccines may be administered to patients receiving immunosuppressive doses of corticosteroids; however, the response to such vaccines may be diminished. Indicated immunization procedures may be undertaken in patients receiving non immunosuppressive doses of corticosteroids. The use of prednisone in active tuberculosis should be restricted to those cases of fulminating or disseminated tuberculosis in which the corticosteroid is used for the management of the disease in conjunction with an appropriate anti tuberculosis regimen. Persons who are on drugs which suppress the immune system are more susceptible to infections than healthy individuals. Chicken pox and measles, for example, can have a more serious or even fatal course in non-immune children or adults on corticosteroids. In such children or adults who have not had these diseases, particular care should be taken to avoid exposure. How the dose, route, and duration of corticosteroid administration affect the risk of developing a disseminated infection is not known. The contribution of the underlying disease and/or prior corticosteroid treatment to the risk is also not known. If exposed to chicken pox, prophylaxis with varicella zoster immune globulin (VZIG) may be indicated. If exposed to measles, prophylaxis with pooled intramuscular immunoglobulin (IG) may be indicated. If chicken pox develops, treatment with antiviral agents may be considered. Similarly, corticosteroids should be used with great care in patients with known or suspected strongyloides (threadworm) infestation. In such patients, corticosteroid-induced immunosuppression may lead to Strongyloides hyper infection and dissemination with widespread larval migration, often accompanied by severe enter colitis and potentially fatal gram-negative septicemia. Drug-induced secondary adrenocortical insufficiency may be minimized by gradual reduction of dosage. This type of relative insufficiency may persist for months after discontinuation of therapy; therefore, in any situation of stress occurring during that period, hormone therapy should be reinstituted. Since mineralocorticoid secretion may be impaired, salt and/or a mineralocorticoid should be administered concurrently. There is an enhanced effect of corticosteroids on patients with hypothyroidism and in those with cirrhosis. Corticosteroids should be used cautiously in patients with ocular herpes simplex because of possible corneal perforation. The lowest possible dose of corticosteroid should be used to control the condition under treatment, and when reduction in dosage is possible, the reduction should be gradual. Psychic derangements may appear when corticosteroids are used, ranging from euphoria, insomnia, mood swings, personality changes, and severe depression, to frank psychotic manifestations. Also, existing emotional instability or psychotic tendencies may be aggravated by corticosteroids. Steroids should be used with caution in nonspecific ulcerative colitis, if there is a probability of impending perforation, abscess or other pyogenic infection; diverticulitis; fresh intestinal anastomoses; active or latent peptic ulcer; renal insufficiency; hypertension; osteoporosis; and myasthenia gravis. Growth and development of infants and children on prolonged corticosteroid therapy should be carefully observed. Kaposi's sarcoma has been reported to occur in patients receiving corticosteroid therapy. Discontinuation of corticosteroids may result in clinical remission. Although controlled clinical trials have shown corticosteroids to be effective in speeding the resolution of acute exacerbations of multiple sclerosis, they do not show that corticosteroids affect the ultimate outcome or natural history of the disease. The studies do show that relatively high doses of corticosteroids are necessary to demonstrate a significant effect. Convulsions have been reported with concurrent use of methylprednisolone and cyclosporine. Since concurrent use of these agents results in a mutual inhibition of metabolism, it is possible that adverse events associated with the individual use of either drug may be more apt to occur. Studies have revealed that Prednisolone, the active metabolite of Prednisone is teratogenic in rats, rabbits, hamsters, and mice with increased incidence of cleft palate in offspring. In teratogenicity studies, cleft palate along with elevation of fetal lethality (or increase in resorptions) and reductions in fetal body weight were seen in rats at maternal doses of 30 mg/kg and higher. In humans, the risk of decreased birth weight appears to be dose related and may be minimized by administering lower corticosteroid doses. Prednisolone can cause fetal harm when used in pregnancy. Omnacortil tablets should be used during pregnancy only if the potential benefit of the drug to the mother justifies the potential risk to the fetus. Infants born of mothers who have received substantial doses of corticosteroids during pregnancy, should be carefully observed for signs of hypoadrenalism. Prednisolone, the active metabolite of prednisone, is known to be secreted in human milk. It has been reported that Prednisolone concentrations in human milk are 5 to 25% of maternal serum levels, and that total infant daily doses are small, about 0.14% of the maternal daily dose. The potential risk of infant exposure to Prednisolone through breast milk should be compared against the known benefits of breastfeeding for both the mother and baby. Caution should be exercised when Generic Prednisone is administered to a nursing woman. If Omnacortil tablets must be administered to a breastfeeding mother, the lowest dose should be prescribed to achieve the desired clinical effect. You can buy Generic Prednisone online from Clear Sky Pharmacy at a cheap price. Omnacortil 5 mg, 10 mg, 20 mg and 40 mg pills, manufactured by Macleods Pharmaceuticals Limited, India are supplied in a blister strip of 10 tablets. The 10 mg tablets cost only $0.14 per unit when you place an order for 180 tablets.